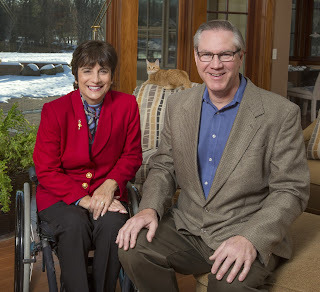 Coming home from the hospital in a wheelchair in July 1998 after my T12-L1, spinal cord injury, I realized how my home intensified my disability. My husband and I knew that we had to sell our home and find something more suitable. My husband is 6'4" tall while I am 4'1" seated in my wheelchair. 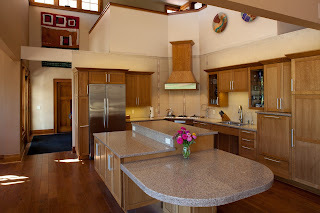 Our heights and reaches were factors in the home design so that we were both accommodated. 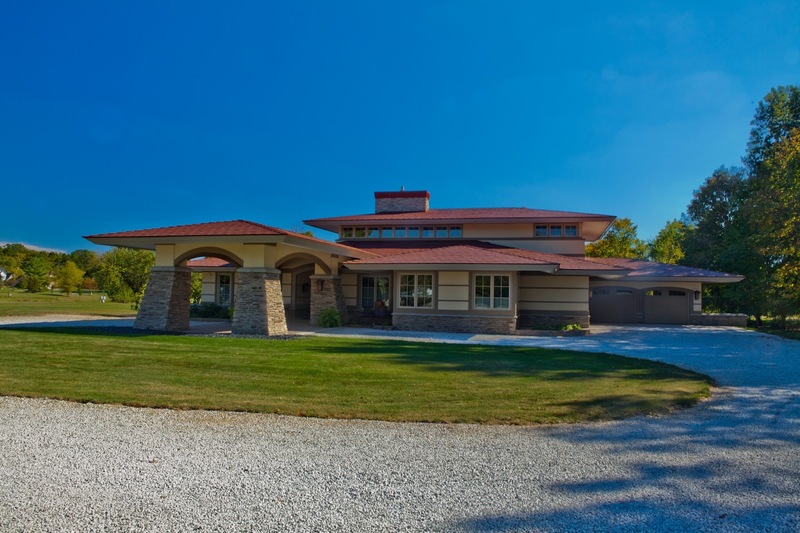 In September of 2004 we hired architect, Patrick Manley to draw the house plans for our new home. In January 2005 we hired kitchen and bath designer and internationally renowned universal design specialist Mary Jo Peterson. We hired Robert August in October 2005 to help us with branding, marketing, and contacting international and national corporations to partner with us by contributing products and services. Mark and I bought an acre and a half lot in December of 2006. We broke ground on September 23, 2009. 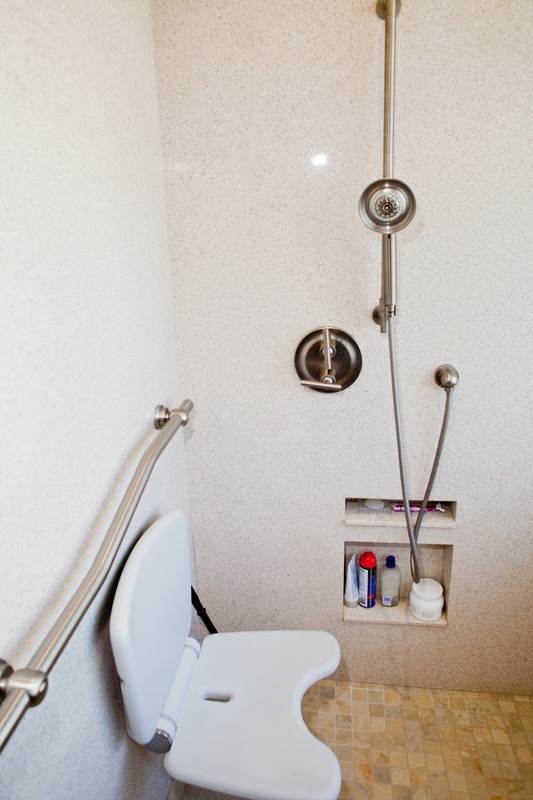 In addition to being accessible, universal design and green building construction principles were followed. We received the highest levels of certification from three universal design national certification programs. We acquired 214 contributors and had hundreds of people volunteer to help us. Our home could not have been built without their support. Mark and I have personally funded the Universal Design Living Laboratory and served as the general contractors. On May 18, 2012 we moved into our new home. With 3,500 square feet in the home and access to the 2,000 square foot landscape paver area, I have plenty of room to walk with my rolling walker. This gives me the opportunity for more exercise and weight bearing as I stand. The frequency of leg spasms is directly related to how often I walk and stand. As a result, I don't need to take anti-spasm medicine and get a good night’s sleep. My muscles, bones and joints benefit from walking and standing. As others plan to remodel or build, they need to build in features that allow the occupants independence. My favorite room is the kitchen. 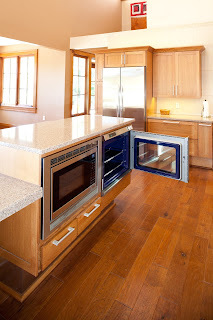 Visitors are most surprised when they see the side hinged oven in the center island. 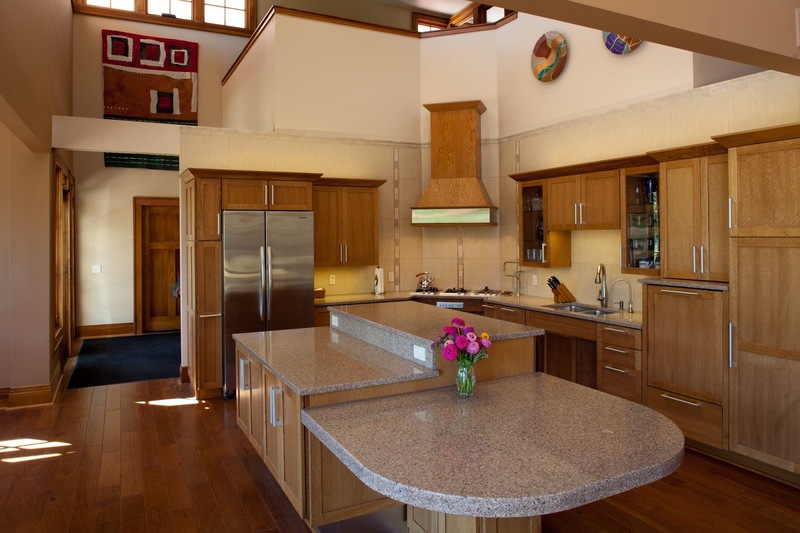 This island has three countertop heights: 30 ½ inches, 34 ½ inches, and 40 inches. The countertop by the sink and cooktop is 34 inches from the floor. More than 50 percent of the storage space is accessible from my wheelchair. The cooktop and sink have knee space underneath. The cooktop has three low profile modules consisting of three gas burners and an in-counter steamer/pasta cooker. Water in this cooker can be drained by turning a knob, so there's no risk of getting scalded. Having the deck-mount pot filler at the cooktop is convenient when filling the steamer and pots. 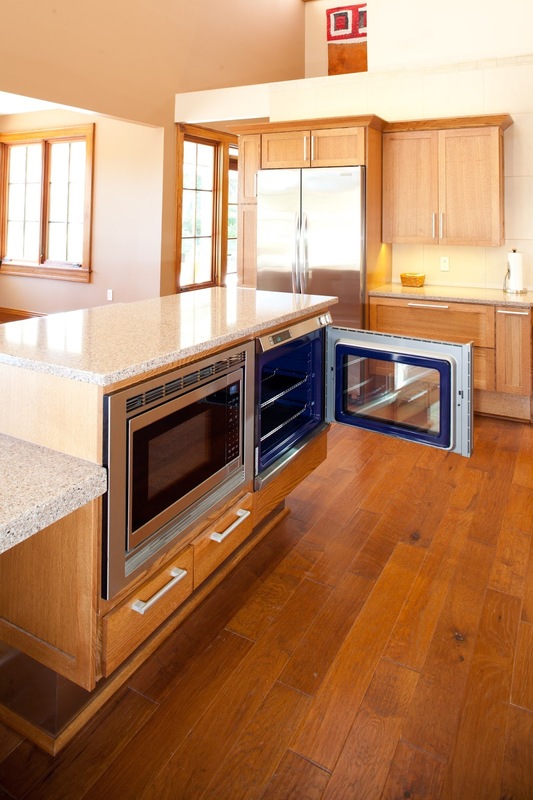 There is a control panel at waist height for the ventilation fan and light above the cooktop. The dishwasher is raised 16 inches off the floor. The 4’ X 7’ curbless entry master shower is built for two. The adjustable height handheld shower nozzle that I use is on the wall to the left of my shower seat. This seat is mounted on the wall and is adjustable in height. 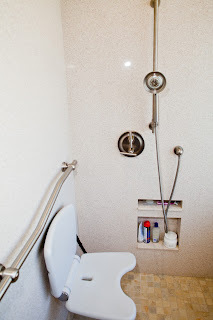 The opposite wall has a stationary shower nozzle for Mark. We each have grab bars for safety. The heated tile floor is sloped allowing water to exit by way of the channel drain. I acquired research skills and a wealth of information that I wanted to share with others. 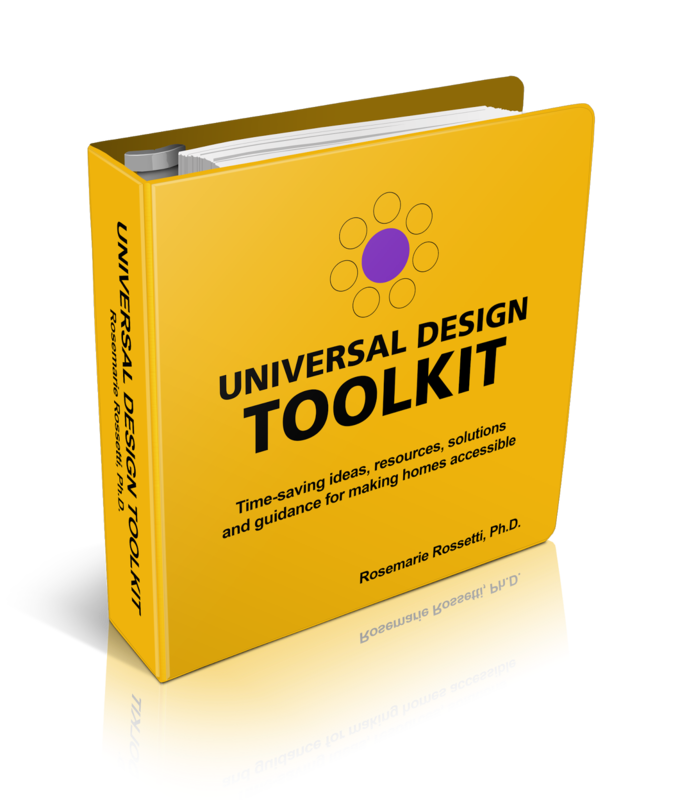 This resulted in writing the Universal Design Toolkit, a 200 page e-book that is packaged with four hours of online videos and webinar replays. The Universal Design Toolkit is new … unique … and is the only learning program resource of its kind. More than 10 years of research were distilled into relevant, timely and practical information. It is the A-to-Z ultimate resource, reference and guide. This Toolkit includes all the tips, tools, stats and advice on using universal design elements to remodel or build a home. There’s nothing else like it on the market. This comprehensive learning package includes everything that is needed – including new, hard to find, and little-known information – as well as guides, checklists, videos, answers, sources and more – in an easy to access electronic format.